Its elevated position gives a fab view over the countryside from the dining room, and on the other side Mum's room has a view of the Jardin Anglais and its magnificent cedar tree and gardens. She manages to communicate quite well with a dictionary, some remembered French and sign language. There's entertainment most days, the food is good, and she even gets wine served with lunch on high days and holidays. She likes it here! We take her out for coffee or lunch, and bring her back to our house for the day every Sunday, as well as to local fetes and markets. It's good that Glenna could visit Mum in the care home and they had a good long chat to catch up. 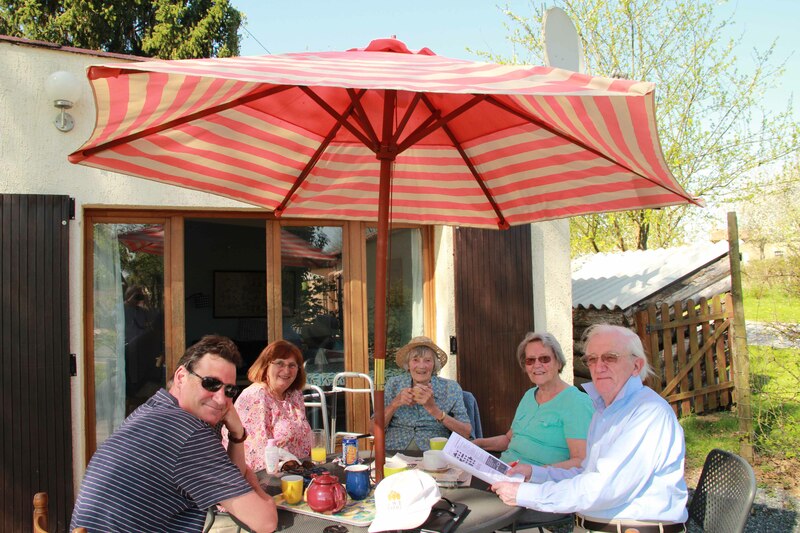 After two stays in hospital in Le Dorat, Mum has moved into the residential care home part of the same building. We're impressed by the place, it's purpose-built with spacious rooms, new and clean with good facilities, happy staff and medical assistance whenever needed. Her health has improved markedly since she moved in and while living there is to be funded by herself, the fees compare favourably to those she had to pay in England for a much poorer environment. Mum's sister Glenna, her hubby Duncan and son Mark came to visit her, staying in our gite for a few days. We took them to Montmorillon for the market, lunch at the pizzeria and a wander around in the sunshine. 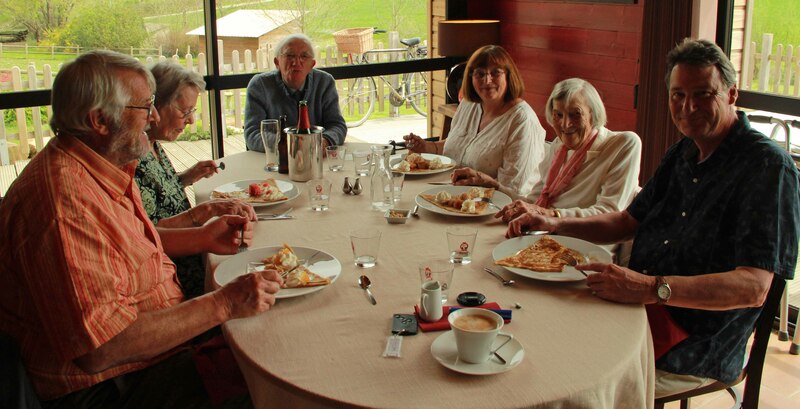 We also arranged a family lunch at the creperie in Tersannes. The creperie was full - for a Thursday lunchtime, it shows how popular this place is. An excellent meal, as always, although it does get noisy in there with everyone talking at once. 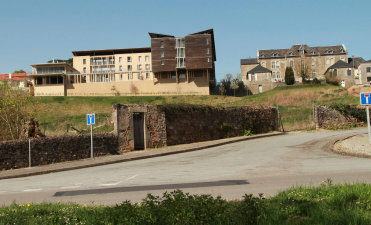 The HIHL hospital and care home. Fortunately the French air traffic controllers called off their planned strike, so the rellies were able to fly home on the Friday. It was lovely to see them and it was a great opportunity for the oldies, and the getting-quite-oldies to meet up.